I asked you, my readers, what questions I should ask JP. And, make sure you're following me on Facebook so you have the opportunity to submit your own questions for the next interview. So, below are your questions, along with some of mine. Here is how JP Livingston retired at the age of 28 with over $2,000,000. You can follow her on her blog The Money Habit as well. 1. Tell me your story. How did you manage to retire at 28? I have wanted to retire since I was about 12 years old. My parents grew up poor. I am talking eight people living in a one room apartment poor. My father’s father passed away when he was 18, and his mother who had previously been a homemaker was only able to find a job at a cookie factory. Her dream for my father was that he would be a busboy and eventually work his way up to be a cook in a restaurant. My mother’s father passed away when she was in middle school; her mother found work as a seamstress at a large garment factory to support a family of six children. I grew up on stories of their financial insecurity. When I started thinking about the future, my parents’ refrain to me was that I could be anything I wanted to be, as long as I had a way to financially support myself. In middle school, we took a survey on our interests and read about different jobs. I loved to write and wanted to be a writer. When I found out how unsteady the income was for a writer, though, I was demoralized. I decided that if I couldn’t support myself financially by being a writer, I would find a way to retire instead, Then I’d have the freedom work on whatever I wanted, including all the writing I could handle. So I started reading personal finance books. I learned that you don’t have to be a genius or have special skills to retire early. A habit of making small and regular improvements trumps even the most gifted people who only apply themselves sporadically. The tactics I’ve employed include optimizing for pay raises and promotions, living a very minimalist and frugal life, focusing on investing skills, and building analytical skills such as understanding how to build and use spreadsheets to support my investment ideas. I found there was an 80-20 rule to different improvements I could make in my money life: 20% of the improvements accounted for 80% of the results. I’ve been trying to outline those major needle movers on my blog so people don’t waste their time as I did on the things that don’t really matter. All those incremental improvements stacked up into a humming, healthy machine. When I retired at 28, I had a net worth of $2.25 million and it’s still climbing. 2. How did you reach $2,250,000 in savings by the time you were 28? When did you begin saving? 60% of my net worth came from saving and 40% came from growing my money through investing. My saving habits started in childhood, which isn’t surprising given my parents’ experiences. But what really upped my game was branching out from a few good habits and awareness to trying to find unorthodox ways to save. 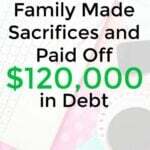 One savings move that went against the grain was graduating college in three years. I earned scholarships to attend a state school for free but I chose a private college which I felt would offer broader opportunities. That private college was incredibly expensive though. So in compromise, I graduated a year early. The savings from that move was not just the tuition costs, but also a full year of missed earning opportunity. My first job was in finance and paid $60,000, with a promise that that if you stuck it out through the entire year you got a bonus that was almost equal to your base. So that one decision to graduate early caused a nearly $150,000 net worth swing. That kind of savings so early in life, growing at market rates for 20 years would yield $800,000 by the time a person were 42. That’s enough for some people to retire through one decision alone! 3. What made you want to retire early? The freedom is really what appealed to me. I had a very potent reminder of how important freedom was and how little time I had to enjoy it the year before I retired. There were several deaths and major health scares amongst my loved ones. That made me realize that given my family’s history, I had about 15 to 20 really good years of health that I could count on. Did I want to spend even one more of those years stressed out while working? 4. What sacrifices did you have to make in order to reach this milestone? I’ve rarely thought of my financial decisions as sacrifices. Rather, they were decisions to purchase one thing over another. If I took my bonus into the store and were deciding between a cool new phone or a camera, I wouldn’t leave feeling like I had “sacrificed” the one I didn’t purchase. I wanted to buy back my time and my freedom more than I wanted to buy anything else in the store. In short, I’ve looked at this is as an opportunity, not a sacrifice. That does wonders for your motivation and mental health. There is an excellent book that I think provides one of the best frameworks to thinking this way. It’s called Your Money or Your Life, written by Vicki Robin and Joe Dominguez. The general concept is this: take the amount of money you make in a year. Subtract out all your work-related expenses. Now take that balance and divide it by the number of hours you work. That gives you the amount of money you are exchanging per hour of your life. With that metric, you could estimate how many hours of your life a purchase would cost rather than dollars. Once you start looking at your purchases this way, you will want to buy much less. And investing will start to look amazing to you! It’s a magical way to get more of your life back, because those dollars can go to work in your place, earning you money while you sleep. 5. Would you say that you live comfortably? I think we live an incredibly luxurious life. There’s still a ton of fat we could cut. 6. What career did you have before you retired? Did that career help you to retire earlier? I was a professional investor at a finance firm and it definitely helped me to retire earlier. I got really lucky that it ended up being so lucrative; I initially planned on it being a two year stint at most. But the work kept getting more interesting and the pay got better. The frameworks we used for investments also helped me think about my own investment decisions for my personal portfolio. 7. What do you have to say to those who may think that they can never earn as much as you can – can they still retire early too? They can absolutely retire early! To me this is the whole point of why the personal finance blogosphere exists. None of us have identical circumstances and identical outcomes. Your childhood may have been more or less advantaged than mine. Your lucky breaks might be better or worse than the ones I experienced. But the absolute truth is this: the you that is making consistent, small improvements over time to your money plan is going to easily accumulate 5x the wealth of the you that isn’t. It’s not hard to retire early in this country because the bar is so low. The average age of retirement in the US is age 63. After 41 years in the workforce the average 63-year-old couple has a total net worth of $174,000 to show for it. That works out to just over $4,000 of savings per year; less if you assume any investment growth. 8. What do you do now that you're retired? 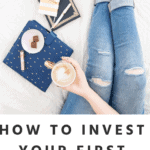 Broadly speaking, I have one major project – a personal finance site I write to help others retire early – which I work on for about 10 hours a week, then the rest of the time is filled with hobbies, reading, and being out in the city. It is amazing how enjoyable the mundane things are when you are not too stressed out to notice them. 9. Many people will have this question in the comments of this interview, I just know it! – Can you explain how you will make $2,250,000 last your whole life, even though you are only 28? My plan is based on data gathered by the Trinity Study. This study calculated that if deployed in a portfolio of stocks and bonds, an inflation-adjusted 4% yearly withdrawal rate from savings was optimal to safely retire and not work for a given 30-year window in the history of the United States. Thus, if your annual expenses is equal to that 4% yearly withdrawal rate, the idea is that it is very unlikely you will run out of money in a 30-year period. However, I have some concerns about the riskiness of that 4% figure. For one thing, my retirement is expected to be much longer than 30 years. In addition, if you look at stock market performance in the last 20 years, the compound annual growth rate was 8.2%, almost 2 points lower than the CAGR shown in the period the Trinity Study originally measured. For these two reasons, I plan to live off a stock and bond portfolio withdrawing an inflation-adjusted 3%. 3% of my $2,250,000 would give me $67,500 a year. My husband and I currently spend $65,000 a year living in one of the most expensive cities in the world. That means we could support our current lifestyle almost indefinitely. But one of the hard parts about retiring so early is that you have to plan for chapters of life that could look drastically different than today. Having children, for example. 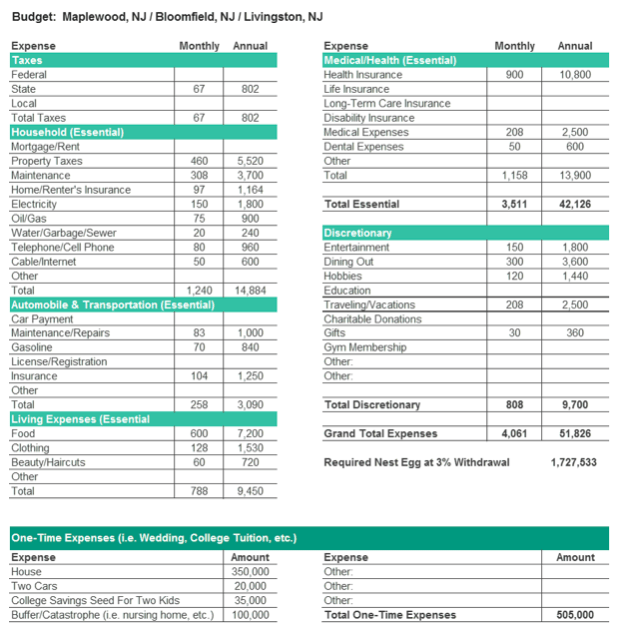 So before I pulled the trigger, I built a projected budget for a family of 4 to calculate how much I would need to support a family. I did this with empirical data, researching what actual families of four paid for the service in the city I was considering. The nest egg required to support this budget is $2.23 million, which is within our means. Conservative Withdrawal Rate: We are using a withdrawal rate some would argue is half to one percentage point more conservative than needed. That would equate to overstating my nest egg needs by over $400,000. Extra Buffer: We have an extra one hundred thousand dollar buffer that will grow over time and which will absorb costs we haven’t foreseen (i.e. higher healthcare premiums, poor market performance for a year, etc.). Full-Time Work: Either of us could go back to work full time. Tighten Discretionary Purchases: $9,700 or 19% of our annual budget is discretionary and we could tighten our belts in a particularly rough year just as every other family does. ACA Healthcare Savings: We have not factored in any ACA subsidies even though our income in this budget would qualify us. Market Outperformance: Markets could do better than we’ve projected. We require a blended 5-6% return (3% withdrawal, 2-3% inflation). We could easily see market CAGR of 8%+ as evidenced by historical data. Home Equity Loans/Reverse Mortgage: We can draw cash out through a home equity loan if we have a temporary cash crunch or use a reverse mortgage in our old age. Profit-Share Grants: My profit-share grants from my previous employer may be worth greater than the $0 we’ve estimated. 10. Do you still earn an income? I am not ruling out a traditional job one day, but it would be about finding interesting work and less about the money. My goal right now is to create a place that helps other folks get smarter about money and retire faster, so I might do some freelance writing outside of the blog. But I don’t want to have left one job just to jump into another! As for other forms of income: I do have some deferred compensation from my old employer. And although my husband could retire as well, he likes what he is doing and continues to work. 11. How did you decide on how much you needed to retire on? I was a professional investor and the way we used to make our investment decisions was to build out various scenarios, observe the outcomes, and attach a probability to each. I did a similar exercise for determining how much I needed to retire. I used three scenarios to triangulate on a target number. There’s a walk through on the three scenarios which anyone can use to determine their own target retirement number over here. 12. If you were starting back at ground zero, what would you do differently from the beginning? Put Momentum First: I would focus on building momentum more than trying to muscle my way through things with sheer discipline. Most people’s initial reaction to starting a new project is to throw themselves all in. I get emails asking me what book I’d recommend people buy to turn their financial lives around. But think about how you got into your other hobbies. Did you run out and buy a book about proper free-throw technique to get into basketball? Were you consulting a textbook to get into yoga? If the key to millions of dollars is showing up every day and making small improvements, then the key to your success is figuring out how to build momentum in those early days that will get you showing up regularly. That means less of a focus on running out and buying dry, boring textbooks and more effort on joining blogs or forums with bite-sized, regular content where you can start to get your bearings and get interested. Tackle The Right Steps In The Right Order: There are four steps to early retirement, and tackling them in the right order really accelerates your progress. I wish I had thought deliberately about how the levers in front of me were changing and better prepared myself for the different stages. I’ve missed a lot of great opportunities because I was so focused on the things that had been working for me in the past that I didn’t look up and think about the new opportunities open to me as my wealth accumulated. For example, I wish I had understood the math behind investing in high-appreciation real estate markets year ago. If I had, I would have bought a house in NYC years ago and be $500k richer. 13. Is retiring everything you thought it would be or not as you planned? Do you ever miss work? It is a hundred times better than I thought it would be. I will admit there was a learning curve at first. But these days, I often tell my family that I am living a version of my dream life. If you had known me before I retired, you would have found that statement astonishing. If there is one thing I miss about work, it’s regular interaction with smart and thoughtful people. Since I started the blog, though, I’ve gotten quite a bit of that back. So overall I’m quite happy! 14. Lastly, what is your very best tip (or two) that you have for someone who wants to reach the same success as you? Ask questions. Be the active commenter on a blog or the vocal one at the cocktail party. Be courageous enough to cold-email the people you know have the answers you need. You can learn so quickly if you’re willing to put yourself out there. People are generous with their experience if you show you’ve done your homework and ask them specific things that make it easy for them to help you. “Why?” is your most powerful tool. If someone tells you investing in X is the way to go, ask why, and pepper them with all the potential concerns you can think of. Then go find another smart person and ask them why X is a good or a bad idea. Go back to the first and pose the second person’s counterargument and ask them to respond. Introduce another expert. Repeat until you feel you understand the issue backwards and forwards. This is hands down the best way I’ve found to master a concept. Focus on habits and systems, not results. You can make yourself feel really good by muscling through a one week sprint with discipline and admiring what you accomplish. But really impressive results take weeks and years of focused effort. I have seen a lot of amazing people in college and at my old employer, and the thing that separates the average from the incredibly successful is really just who has figured out how to put out consistent effort. No one has discipline to last in a marathon like this without building the right systems and habits. Show up every day and do one small thing to improve the thing you’re measuring. If you do this, you will be among the top 5% of achievers. Over time you will build a system that will trump any specific lucky breaks or windfalls, and it will get you to financial success you deserve. Are you interested in retiring early? Why or why not? Very impressive. I love that you are using a more conservative withdraw rate compared to the 4% trinity study. “Focus on habits and systems, not results” this is a great thought and one that i need to constantly remind myself. If you are passionate about the process you will get the results you want. Yes, she definitely did a great job! Awesome interview!!! That’s amazing that she was able to retire so early especially in such an expensive place like NYC!!! 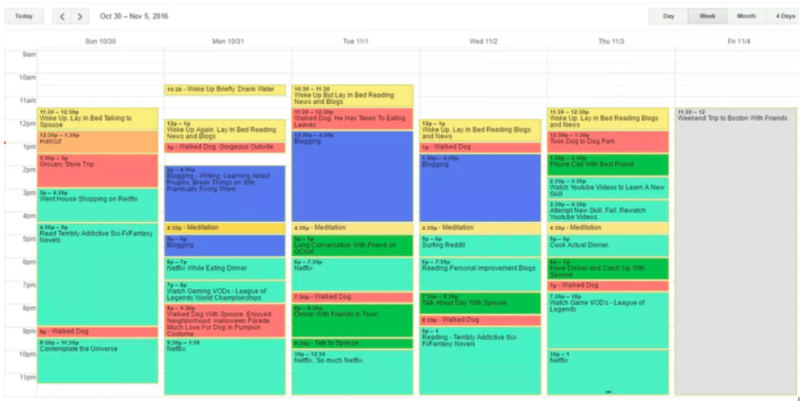 I love reading when people in retirement have busier schedules than when they worked a 9-5. One of the things that has always scared me was getting bored in retirement but based on everything that I hear that shouldn’t be a problem 🙂 Thanks for sharing!!! I’m seriously most impressed that she did this in NYC. I can’t even imagine trying to cut my expenses in that city. I get that JP says you don’t have to be a genius, but she has a pretty solid head on her shoulders. This is great advice and incredibly inspiring. She is knowledgeable, organized, and even has a calendar for her retirement. When I grow up, I want to be JP! Seriously, this is incredible. I really enjoyed reading it and will need to share it with my wife. Love the new series! Also, this sounds about right to me based on the projections and information I use at my day job as a financial planner. Awesome story! Yes, I’m so excited for the new series! Amazing accomplishment! Especially while living in NYC. I’d be curious to know if she has plans to move to a lower cost city in retirement. Geographic arbitrage could extend their nest egg even further. Have you guys not figured it out?! She was in NYC because she worked at an investment bank, hedge fund, or asset management firm. Right before she retired, her income was probably $250-$350K with a bonus in the mid to high six figures. This is not something 99% of you can replicate. This article is fantasy at best for 99% of the US population. Fact: 50% of all in US who earn money from employment earn $30K / year or less! Yes that’s a real fact. As a matter of fact the majority of Americans have zero net worth & could not even afford to pay a $400 bill. Easy to “save” & play all these scenarios when you are earning 6 figures/ years + bonus AND was able to invest in a FED induced stock market run up (now bubble) since 2009. That’s all this woman was. There was no skill here in managing to save $+2 MM by 28. And I bet U all a steak that she was easily earning closer to $400K / year in the few years before she quit for good. Something tells me when this stock market party ends that net worth of hers is going to be looking a bit smaller. As a matter of fact statistics show that many folk end up losing a good portion of their money because they don’t understand the trick is not MAKING the money, the trick is KEEPING it. Granted she did make a good decision to save all that money so she could enjoy life, but the article is a bit of an insult to the average, intelligent Americans who earn the average $50K / year. No mortgage/rent and no car payment…makes it a lot easier to save when the two largest payments are removed…that is assuming you also believe the rest of the b.s. Agreed. No disclosure of what she did or where or what sort of ethical shortcuts were taken. I call bullsh*t.
And she’s married and it doesn’t say what her husband does. My guess is she pocketed all her cash while the husband foot the bill. To live decent in NYC you need to make some serious cash, $250k a year isn’t enough. I know a few other Wall St folks who did the same and moved to Panama. This story is not unusual, though I think she was successful much sooner due to her husband and that also allowed her to bail out completely. That said, she didn’t bank 2.2 mil by sitting on the couch. This is one of the most inspiring stories I’ve read so far! I can’t believe that she was able to retire at 28. This is the living like no one else so you can LIVE like no one else that Dave Ramsey talks about. 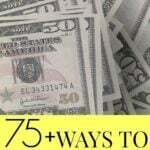 I will be taking some of her tips and start really focusing on my own retirement nest egg. Thanks for sharing Michelle and JP. It’s awesome that you were able to graduate a year early (just like me)! Your future is bright, hope you find ways to make the world a better place! Yes! I graduated early as well and I definitely think it helped. Good stuff, though I would not retire at that age even if I had the means to do so. I just feel like I learned enough and have enough talent and uniqueness that I was put on this earth for, and I wouldn’t want to just shut that off at such a young age. It would definitely change how much, and probably even how I work, but the point is that I would still work. I do think it helps to dream of financial independence early. And 12 is pretty darn early! You’re able to avoid many of the costly mistakes people make when they’re freshfaced adults. We’ll spend a few years climbing out of our debt hole–just to have positive net worth. The points that have been provided are crazy fabulous! I’m much older than 28 but I certainly have a desire to retire much earlier than the 63 or even 65 age of commonality. Focusing on habits and systems have confirmed the way I need to go! Thanks Michelle, for this informative and useful piece. I look forward to reading more on your series! Really great article! I am curious about the housing situation. The chart seems to show a one time $350,000 expense and no mortgage/rent. Did JP pay for her apartment in cash? Any thoughts on that process versus buying with traditional mortgage and getting the tax incentives. Also-and maybe I missed this. Is JP drawing down from her non-tax and tax advantaged accounts now and what surprising tax implications has she faced, if any. This is amazing! I have never heard of someone retiring so early! That’s a big step. I totally understand the freeing feeling that comes with living the life you want and I’m so happy you have that! This was incredibly inspiring. I’m glad you have included interviews at a thing now. I want my kids to realize this dream. For me being older, it just seems so difficult to pull off. However, since we weren’t able to retire early, we did the following (1) took 1-3 month ‘mini-retirement’ vacations every other year (2) just moved to the place we wanted to retire and bought our work with us. We will still be able to retire, just not too far away from average retirement age. What an inspiring story! I’m excited about your new series, and look forward to reading more. Excellent interview. Keep up the good work. I’m going to love this series! I don’t know if I can reach millions of dollars, but I know I can set my children onto the path early. Congrats to JP and I’ll be checking out her blog to learn!! Awesome interview and look forward to the series! I just found JP’s blog recently and read all the posts. Being that I’m also from NYC and also interested in early retirement…it is definitely a great resource. I can’t find JP’s blog, do you mind sharing? Such a great post. I love this new series. I think we are all so different so the more people we can here about retiring, the better we can picture what our own strategy might look like. JP you rock! Great interview. I love the fact that she wanted her freedom and was able to make it happen. That’s one of my goals. I’m slowly getting there. I like this new series Michelle! This story is very fun and very inspiring! Retiring early would be a great accomplishment. I look forward to reading more from this series! Excellent post, this is very inspirational. Keep going, and thank you for sharing! This is insane! I think a lot of us readers are going to really enjoy this new series! Loving your new interview series, Michelle! Thank you! Awesome interview post!! Wow! 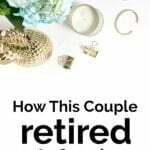 I would say I’m semi-retired (I left the conventional workforce to homeschool my kids), but I would love for hubby to take extended time off every year. We’re on our way, with only 1/2 the mortgage left between us and that goal! Saving has always been a hard thing for me. My wife really helps keep me on track. It’s a mental thing for me that I’ve had to learn and train my brain for. This is so true when thinking about retirement! What is more important! Thanks for the inspiring post and congrats on being able to save so well! Ok let’s say she stared investing at 18 years old which is the day she graduated high school. Then for 10 years (she is now 28 years old), she puts away $12,300 each MONTH AFTER TAXES, yes, each month for 10 years! At a annual compound rate of 8% (S&P 500 annual rate)…guess what…that makes $2.25M. So unless you have a job which pays $246,000 per year ($12,300/month X 12 months / (1 – 39.6%) [1 – Fed Max Tax Rate]) you ain’t getting to retire in 10 years. And oh, by the way, that assumes Zero expenses whatsoever…none, nada, zilch! Perhaps maybe she started saving and investing the day she was born? mmmm, unless you are born into a trust fund, then guess what…you ain’t getting to $2.25M. But wait, she said she thought about retiring when she was 12 years old…because that is what 12 year olds do…think about retiring. Ok, so lets do that math. Starting at age 12 you get a killer job, because your dad, I mean some CEO, decides that you should get $92,800 per year. And you save and invest at 8% for 16 years (28 – 12 years old), guess what…you get to $2.25M! Congrats. So the lesson is…when you are 12, get a job that pays $92,800/year so you can save/invest $5800 per month AFTER TAXES. And don’t forget to live in your mom’s basement so you pay no rent and eat her food because that costs money and be on her wireless family plan…just don’t pay any expenses for 16 year…simple. But on the bright side – save and invest as much as you can is always a good idea…but do the math, so you won’t be disappoint when you don’t get to $2.25M in 10 years or in 16.
p.s. please show her savings and investing spreadsheet…I’m so curious to see her math. true. her numbers just don’t add up. 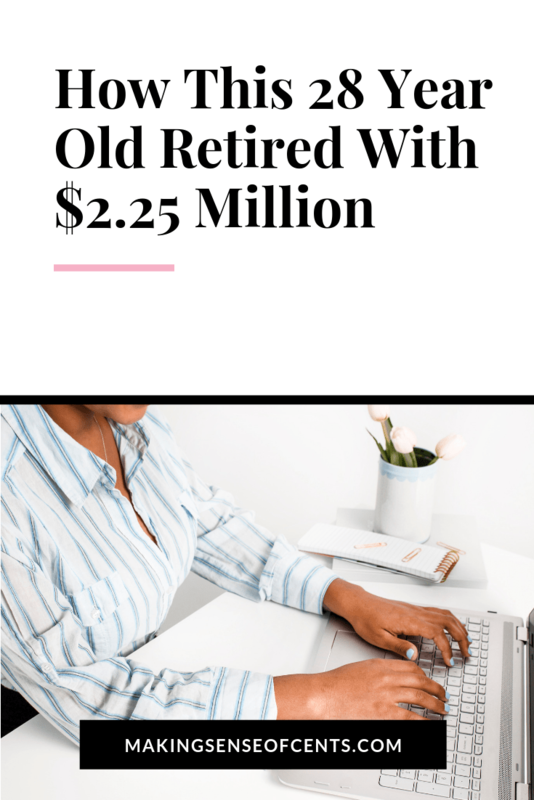 Can’t save $2.25M by 28 unless someone gave you a gift to start saving from or, like you said above, she got a job at 18 years old that paid $246,000 per year. So now I’ve got to wonder how many of these other motivating stories of people saving this and that are perhaps embellished. I would also be interested in seeing her income and investing spreadsheet. If she did surprisingly well as a hedge fund manager (have you seen The Big Short? ), it is possible her investments could have far surpassed the average return of the S&P 500. I think you are missing a couple other key components. She worked in finance in New York. Six and even seven figure bonuses are not abnormal in those jobs. (She even implied she got a $60k bonus her first year out of college.) Also, I think this includes her husband too. Maybe take whatever she cobtributed for 7 years and multiply it by 2. $2.25 million doesn’t seem that hard to me. She said that she worked in finance. Meaning that she has the skills to actively invest her money instead of just putting it in a mutual fund. I’m willing to bet that she got way more than just 8% a year from investing, probably more like 30%. 30% haha…even Warren Buffett doesn’t have a 30% CAGR (28% when he, the #1 world’s greatest investor, was running his fund). So her “probably like 30%” beat Warren? mmmm, if they don’t show the accrual accounts or an audit by KPMG (or other top audit firm), then let’s just call it what it is…marketing. Which is fine, but it’s still marketing to get the average Joe to buy some course or product or whatever. Exactly…no way she beat Warren…if she did, she’d be the world’s greatest investor and would open her own hedge fund. Then she could write an article about how she became a billionaire….by age 30! LOL. It’s either fiction or husband or trust fund, but it ain’t common gal just saving with common job…numbers just don’t add up. But it does provide at least some lessons. It wasn’t not too hard to get 30%+ return from 2010 onwards. I did it with no experience but just didn’t invest much (around 50k). I wish I put everything in it, not that it would make a difference in the long run. Great interview! Thanks for sharing all the charts and details about how you achieved FI. Retiring early in NYC is amazing. Although, I’m starting to think big city’s are better for people chasing early FI. It’s not considered strange to live without a car or walk to the grocery store. It’s reasonable to live in smaller apartments to save money. It’s not cheaper for everything, but it supports the lifestyle in some ways. Thanks for sharing! really…read her “schedule” as “woke up” each day for the week. Now go to your schedule…how many times do you have “wake up” on it. Haha…no real person puts “woke up” on their schedule. Another clue…past tense. Sorry folks,…it’s fabricated. But still, one should save and invest all they can…just don’t pretend that this is real or that your results will even be close. This was great, thanks! Where can we find JP’s blog? I was wondering about the children part. That is a great paying out of college job. I picked the wrong major! I’m very impressed and have been following her blog for a couple weeks now. However, I’d like to see how exactly she managed to save all that money. Starting from year one, where she made $150,000, till year 7, where I assume she made multiple times that? I’m still impressed by her discipline and frugality. But, the numbers are kind of hard to add up. John, you are absolutely right…the numbers do not add up. No way (unless she made $246,000 per year AND had absolutely ZERO expenses) can anyone compound at 8% (average return for S&P 500) and get to $2.25M. Mathematically impossible (without a trust fund, that is). So, don’t beat yourself up if you don’t get to those numbers. And she is not retired. She runs a blog, that sells products. Its just her hook to sell that blog. Her husband is still working as well. Its embellished to sell more products for herself, and those that promote her “story”. In that story, you can take away good tips, but don’t for a second believe it as gospel. Very inspiring! I’ll be 28 next year, and being able to retire by that time would be a dream come true! Quick question, as far as your investing strategy went, did you mainly invest in individual stocks, index funds, or managed mutual funds? Also, what percentage of your portfolio was in stocks/bonds? Ms. JP has incredible skills in her arsenal together with a sharp razor focus. No wonder she retired so early, 3 years before me. Where I’m from, Italy, I would pay about $12.000 with a capital gain of $60.000. It’s a huge difference. Thanks in advance for the kind replies. Awesome Story! Even more impressive while living in NYC. Start early, small manageable steps, improve yourself to increase value, and save! Great Story. It’s unimaginable. You did a great job. It’s time to enjoy Yeah!. Such a inspiration for other people Michelle. I am motivated and have to take extra steps to retire early. I am turning 27 next month and don’t know when will I be retire but will set the target. Thanks for the inspirational story again. I feel that her making $60k out the gates of college is not only unrealistic but also very rare. I made $30k last year and am 6 years out of college. If it were a more “normal” story and salary, I would feel more motivated by it. This is just a story of priviledge. It is a story more about “luck” than anything. What fascinates me is some of the comments that completely overlook the truth about her net worth. Some of the comments were outright hilarious as the “praise” for this person earning 6 figures a year working in investment banking. Should without question, easily be able to save $+2MM by the time they are 28. Let’s give the other 99% of the population a call and see if they think this is some sort of amazing feat. Not far into it I realized I was reading “about how the other half lives in reverse”. She has her silver spoon showing for all to see but I don’t hold it against her. I’d just love to see what her exact investments were to pull down that kind of return. I’m smelling hedge funds. I think you’re keeping yourself consistently evolving with the fact that you’re starting a new series whereas you’re interviewing people. It’s not only a great way to stay innovative, but also keep great content marketing creativity at bay. I commend you for maintaining a teachable mindset and most importantly, keeping us empowered with good money making sources and ideas. My mother worked for the city of New York in Brooklyn for 35 years working paycheck to paycheck. I know 1st hand how it feels having and going without having. Either way, I was thankful I made it through hard times. To be retired at 28 is good. And anyone can retire and live comfortably too off of affiliate marketing, blogging, and real estate. This post is really an eye opener and a re-energizer for anyone needing inspiration to move forward faithfully with their business endeavors. My main take away is not really about her net worth. It appears she was in a privileged position but had the discipline to make the right calls based on her financial goals. She could have lived a life of luxury while making a killing at her job but instead decided to delay gratification without making sacrifices. Whether she was spoiled or not who cares. She had goals, a strategy and just executed it. I for one am extremely inspired to land an Ivy League scholarship, a family provided trust fund, mid-six figure paying job, somehow avoid paying taxes, cheat on my expense calculations, inflate my investment return, and inaccurately treat “net worth” as liquid retirement savings! Actually she utilized the same know-how in both her job and personal finance. That was clever. Becoming rich is more or less a know-how question but requires also a long term motivation. This is really cool and super motivating! Thanks for sharing! What did I miss that taxes are only $802 per year? What I think a lot of people who retire early are missing is that health care is very expensive and I bet most people will under estimate these expenses. Premiums will go up as you age more than inflation and most plans have large deductibles now (even for people working at large corporations). Any kind of surgery or chronic health issue is going to cost thousands out of pocket. My advice to anyone retiring early is to take good care of yourself and stay healthy. If Trump gets rid of the affordable care act, this will get even more expensive. Can you be more specific on how this person accumulated $2.2M? Is there a breakdown of how much they saved and how much they invested and what they invested into? What were their yearly incomes, etc. Great blog post! The book that has helped me as well was Your Money Your Life. I could totally relate that deciding to make purchases is not about sacrifice but more about decisions and priorities. 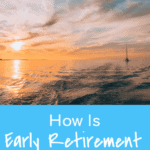 I look to retire early and this post answered some of the questions I had especially about the 4% rule, and what a typical day will look like in early retirement. I can’t wait to be able to just focus on passion projects, travel the world, and go back to work if I WANT to not because I HAVE to.